As influencer content continues to grow in importance within the marketing mix of the biggest brands in the world, in this special feature, REDPILL, using its ratings system for such content, reviews three influencer videos and assesses the reasons behind their social performance. “First name Steph, last name Curry!” You’ll be amazed by how catchy this mega-cheesy song is. I’ve been singing it for the last hour and my life is definitely less blurry; I still haven’t purchased a Brita Stream water filter though. Hot off last year’s Golden State Warriors final victory, the NBA’s fourth ranking player Steph Curry partners in this video with comedic influencer and ex-vine star Rudy Mancuso. With the start of 2018 fresh in our memories, this timely piece of sponsored marketing sure hits the spot. The ink on our New Year’s resolutions is barely dry, and possibly already illegible, so many viewers are sure to resonate with this video. Steph magically enters the clip as some sort of guardian angel to help Rudy stick to his resolutions. The promotion of Brita is tactically linked to Rudy’s first resolution to drink less bottled water. The theme and appearance of the Brita Stream continues throughout the video combined with dorky, yet comical dance moves by both Rudy and Steph. This form of content marketing is highly engaging because it’s not only entertaining and amusing to watch, but the song is incredibly catchy! I dare you only listen to it once; it’s impossible. Brita have certainly nailed their objectives here. It has been a momentous week for YouTube, with an unprecedented move in sternly punishing one of its stars Logan Paul for an extremely distasteful video. The clip, featuring a dead body entitled ‘We found a dead body in the Japanese Suicide Forest’, attracted millions of views and ended up on YouTube’s #10 trending clips before being taken down. In response, the 59M-follower undisputed king of YouTube PewDiePie released a video lambasting his fellow YouTuber (who has a mere 15M followers). It’s no surprise that 23M people have already glued their attention to this response video considering the two high-profile content creators involved. PewDiePie strategically picks apart Logan Paul’s video pointing out the stupidity and insensitivity of the now shamed star. He points out the lack of empathy and foresight in Logan’s video which blatantly ignores YouTube’s policy of not disseminating disturbing or disgusting footage. Influencers like Logan Paul have so much power in these times that it sometimes seem like they can get away with anything. It’s comforting to see that even they are held accountable for unacceptable behaviour. YouTube has now cut its ties with him and heavily penalised his profile, meaning he will be much less visible in search engines than he used to be. Though there is no active promotion, the description does contain links to the chair and headphones that PewDiePie is using in his video. It’s comforting to see that there are also links to suicide prevention hotlines in the description. Hopefully the extreme backlash against Logan Paul’s tone-deaf content will be a clear message to other influencers to use their power responsibly. PewDiePie’s video was the appropriate response to YouTube fans who watched the shocking Suicide Forest content. 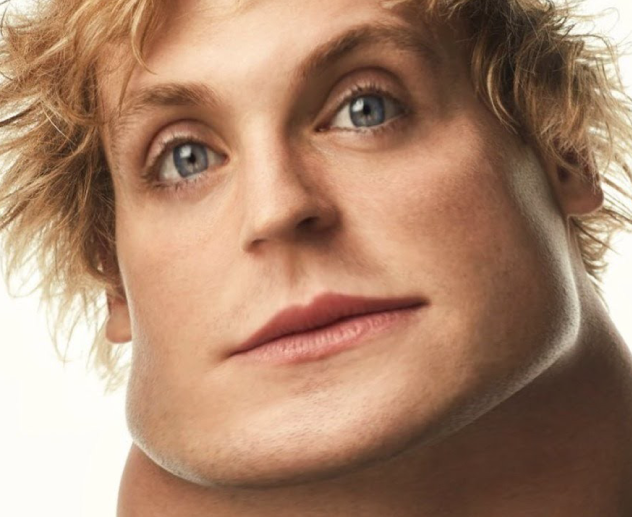 Let’s keep our eyes peeled to see if Logan Paul changes his obnoxious and insensitive behaviour moving forward. I’ve never seen a clip that made putting up a dry wall look like so much fun. This is a behind-the-scenes insight into the building project lead by husband and wife YouTuber duo ‘Threadbanger’. The snappy edits and well-timed music create a fluid piece of enjoyable content. Threadbanger’s near 4 million subscribers have the opportunity to accompany them through the challenges of renovating. This is the fourth instalment of Man vs House and it gives a realistic ‘fly-on-the-wall’ view of an exciting life-changing project. It’s interesting because the footage is raw and unpolished, unlike many of the over-produced home development shows on TV. Retailer Lowes Home Improvement sponsored the video and received significant brand exposure in the middle of the video. The YouTube couple frolic about the superstore squeezing inside washing machines and making crappy puns in the toilet aisle. Back at their house, Threadbanger put their nail-gun to work and have a fantastic time while erecting dry walls around the property. For anyone who’s ever tried to build or renovate a house, perhaps you’re wondering if the YouTubers cut out the footage of the inevitable delays, stress and anxiety – or maybe these guys just kill their build with no muss or fuss.